Evans Home Improvement is a general contractor that was was founded over 50 years ago by Ronnie Evans. The company was originally named Evans Roofing. In 1999 Ronnie’s son Toby Evans took over and grew the operation. 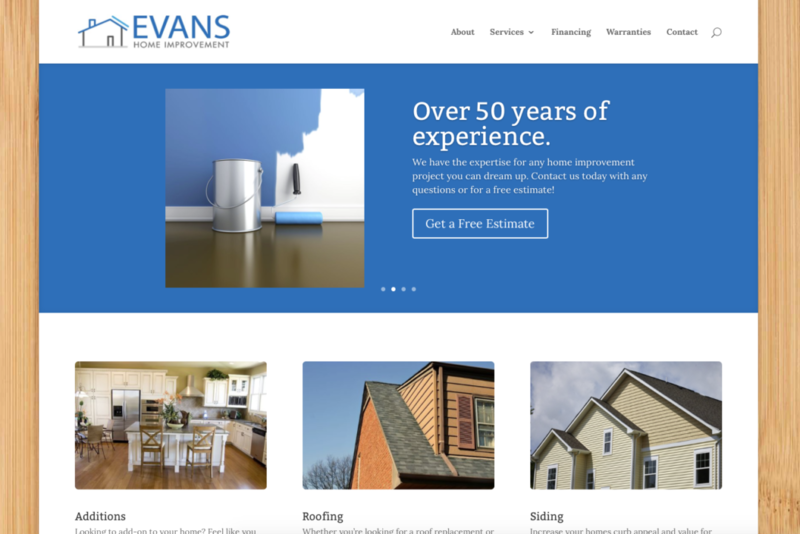 Services were expanded and the name was changed to Evans Home Improvement. In 2015 the 3rd generation now has a guiding hand in the business: Toby’s son Corey is Project Manager.